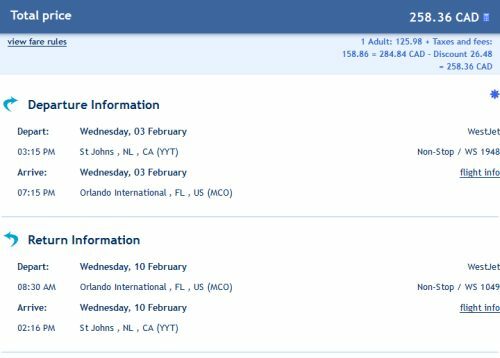 WestJet has dropped the price of their last minute flights from St. John's, Newfoundland to Orlando, Florida down to $258 CAD roundtrip including taxes. There's no doubt that the higher U.S. exchange rate is having an impact on filling Canadian planes bound for the United States. 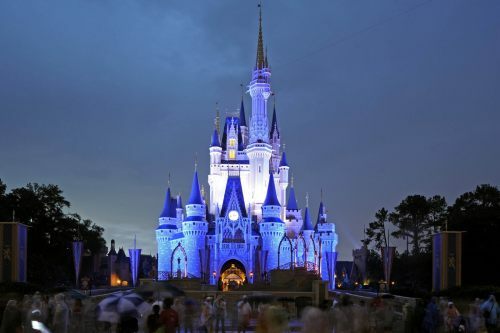 The typical best roundtrip price is around $500 CAD.